ATTOTECH ATS is Side Mount coordinate measuring machine is suitable for inspection room or shop-floor use. ATTOTECH ATS measures and scribessmall to mediumsized workpieces. 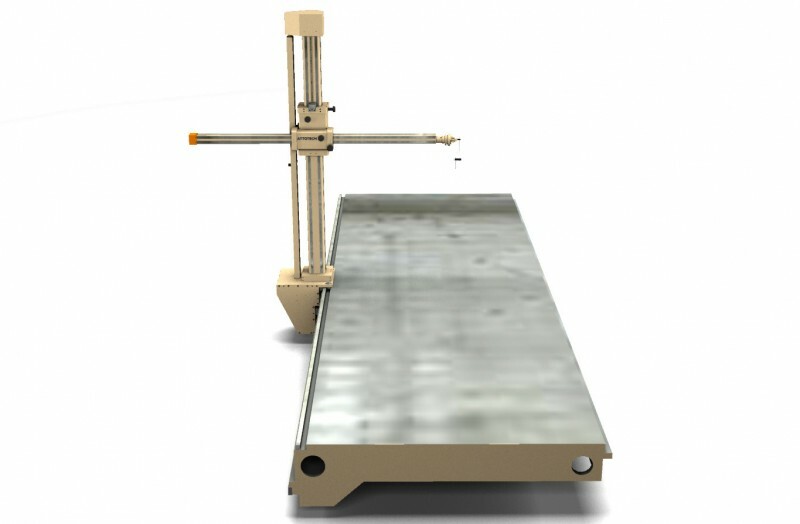 ATTOTECH ATS is available with either manual or CNC system, . Global Standard of Layout M/C is at ATTOTECH ATS’s core. However, it is flexibleenough to satisfy also more demanding needs – whether whenit comes to measuring or scribing. ATTOTECH ATS-D isdual arm version of ATS series. Also special work tables, as scribing kit and the measurement software extendthe CMM’s usability even further. When it comes to measuring ATTOTECH ATS is as reliable as the most advanced CMMs. At the same time it is easier touse than many other CMMs thanks to its manual handling. ATTOTECH ATS offers simple or advanceddigital readouts and DRO software ( industrial computer) with various functions to display measurement data. For more complex geometric inspection jobswe equip ATTOTECH ATS with our measurement software which is available in different versionsfor specific tasks. You can have perfect 3D CMM include measurement software with our one ATR. You can select standard model and black granite model. High Accuracy Side Mount Coordinate Measuring Machine. Best price-performance-ratio in its class. Special designed Y arm tension system for extreme low bending.